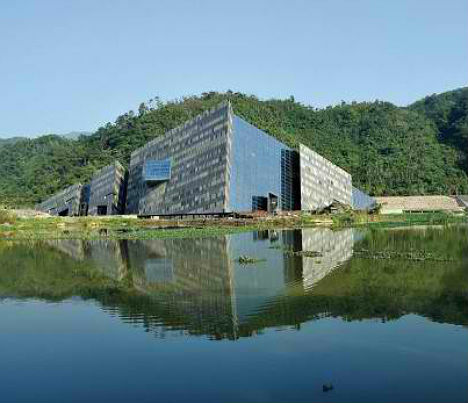 Looking as if it’s being pushed up out of the ground it stands upon – or perhaps sinking back into the earth – the Lanyang Museum in Yilan County, Taiwan echoes the sharpness and solidity of the rock formations with which it is surrounded. 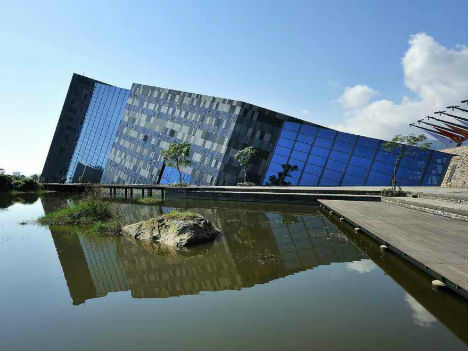 Designed by Artech Architects, the museum feels like a natural extension of the land, yet maintains a sense of drama. 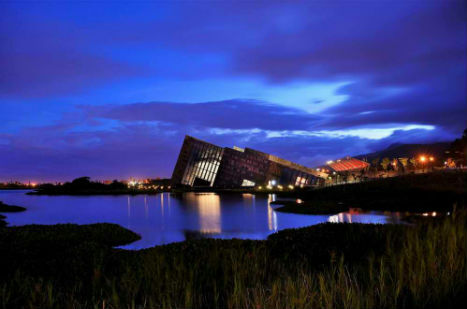 Located near the Wushih Port, a once-busy harbor that has now turned into wetlands, the Lanyang Museum is a tribute to the area’s past and present. 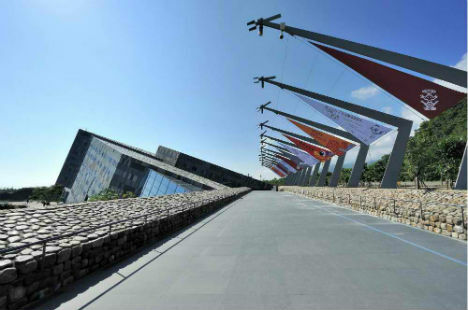 Outside, the museum takes inspiration from the geological formations of the site. 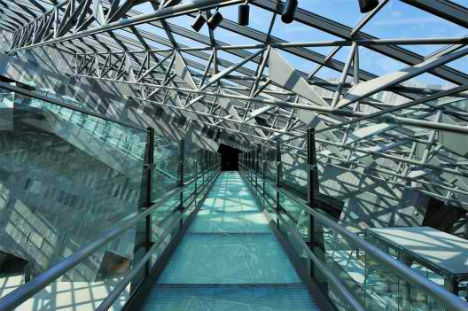 Inside, it contains exhibits that reflect the area’s cultural history. 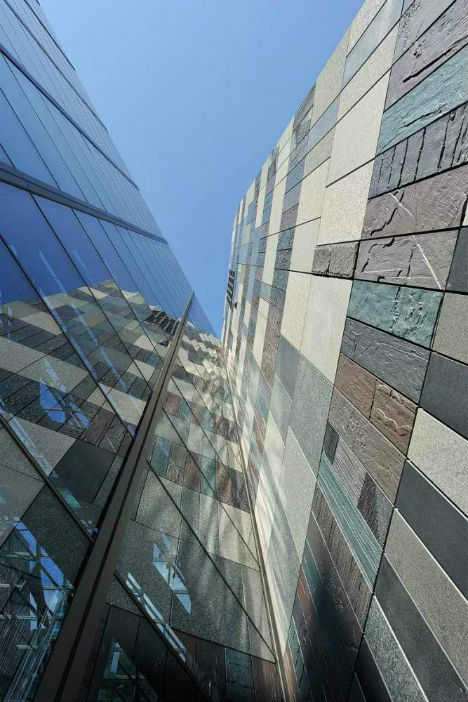 Made of granite and cast aluminum panels, the exterior of the building mimics the reef’s natural erosion process as it is changes with exposure to the weather, and subtly evokes the cuesta ridges of the landscape. Cuesta ridges are formed when sedimentary rock strata tilt over time, exposing the edges of each layer. The way the building emerges from the land is a direct representation of this kind of formation.